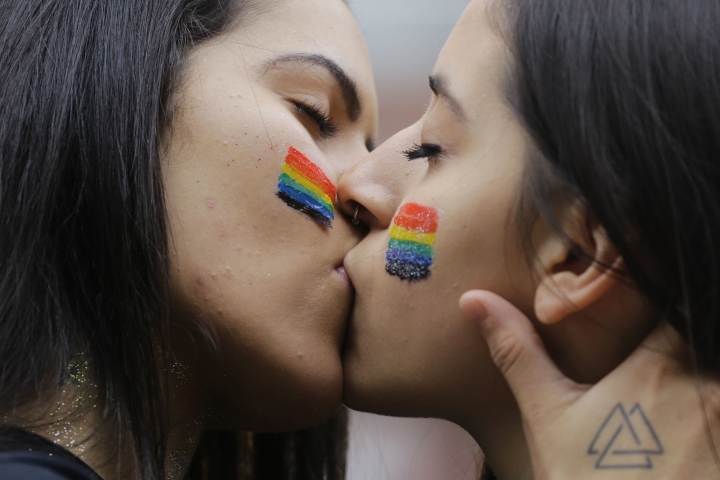 SAO PAULO — Hundreds of thousands of people gathered in Brazil's largest city Sunday for its 22nd gay pride parade, which is considered one of the world's biggest. 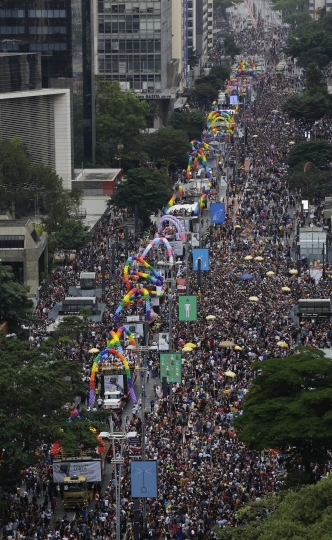 Waving LGBT rainbow flags in a Carnival-like atmosphere, marchers paraded down Sao Paulo's skyscraper-lined Avenida Paulista to music blasting from 18 sound trucks. Revelers of all ages, many wearing bright wigs, heavy makeup and multicolored costumes, filled more than 10 city blocks. 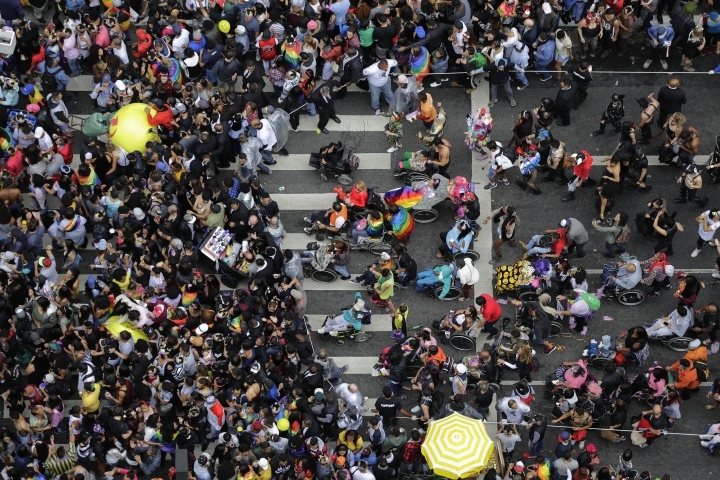 This year's parade focused on Brazil's national elections scheduled for October. The theme was "Power for the LGBT — Our Vote, Our Voice," said Claudia Regina, president of the gay rights group that organized the event. 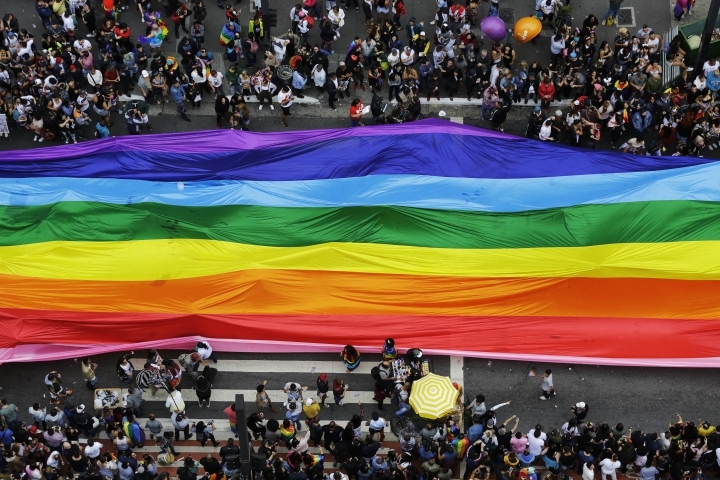 Regina said on the event's official Facebook page that the objective "is to alert the gay community to the importance of choosing its candidates carefully." "We have achieved many rights and there are still many more to be conquered," she said. "We cannot lose what we have achieved to political ignorance. 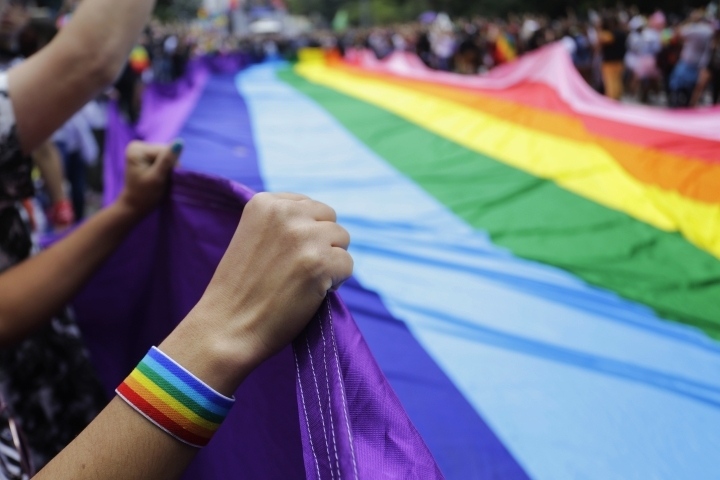 Together we can promote a more tolerant and respectful world with less LGBT phobia." On top of one sound truck a drag queen known as Tchaka chanted: "This year we should punch Congress in the face." The crowd responded by calling for the ouster of Brazil's widely unpopular president, Michel Temer. For participant Camilla Wotton the march was especially important because of its focus on the elections. "I think we don't have an LGBT voice in politics, so this year is very important, if not the most important one we have ever had," she said. "We want respect as other people have," he said, adding that the march was not "just for gays, but for everyone."